A Derby Winner for the horsey set! 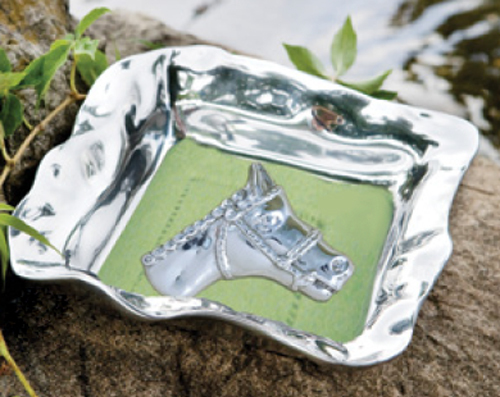 Collectible, decorative and multipurpose, our "Not Just for Napkins" Weights are a perfect gift. Use as napkin weights, paper weights, or coffee table curios. Each packaged in an elegant pouch. Pair with any of our "Not Just for Napkins" Boxes, or on their own. Made of an FDA safe, easy-care 93% aluminum alloy.